I’m sure you’ve all heard about deal-a-day websites where you can buy a product or service for a cheaper price. One of these websites is Groupon and a couple of months ago I received two $50 vouchers to use and review. I hadn’t yet signed up to Groupon but had looked at similar websites and so far they all seem pretty much the same. I somehow signed up to receive daily newsletters which I didn’t realise. I had to go in separately to register to actually use Groupon. This was a bit confusing until I figured it out. I de-registered from receiving the newsletters as there were about two per day which was too much. One a day would be plenty. I also installed the iPhone app so I could receive notifications but never actually got a push-notifications so my checking of the deals on the Groupon website was a bit hit and miss. It wasn’t until I’d had the vouchers for a month or so that I saw some things that I thought I’d actually buy and use the vouchers for some of my Christmas shopping. 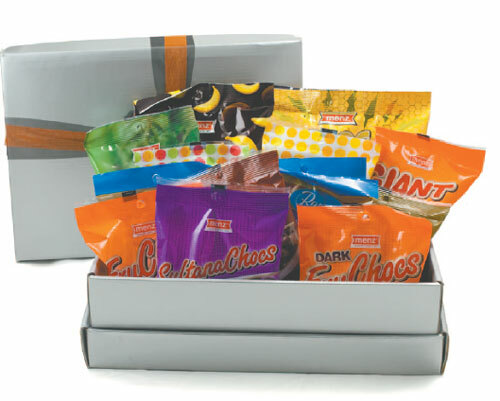 Menz Chocolates – a local Adelaide company – had a great deal where you could buy a whole bunch of their products all nicely boxed for a Christmas present. I bought two of these for $40 and valued at double this. Because I bought two boxes I was supposed to print out the two vouchers to take to the store for pickup but stuffed up and only took one. They were absolutely lovely and let me login to my email and show them the other voucher. I didn’t fancy driving back across town to print out the other voucher and drive back again. This took care of nearly all of one of the $50 vouchers but the good thing is with the vouchers is that the credit carries over so I could use up the other $10 and start using the other voucher for the next thing I bought – some sparkling wine – $39 including delivery. Between ordering and delivery it was very speedy and I received it before Christmas so I was very happy as these were to be used over the Christmas/New Year period. At roughly the same time I ordered a six-in-one solar powered robot ($16) that you build yourself and I thought this would be a perfect stocking filler thing for my son. Details about it’s intended arrival are now a bit fuzzy but I thought it would arrive before Christmas. It’s now nearly a month after Christmas and I still haven’t received it. By last week I’d sent two emails to the company with no response and no way of telephoning them because they only had an email on their website . Dodgy perhaps? Even though I’d received the vouchers for nothing I’d had to pay nearly $5 in postage from my own money which isn’t that much but after doing some belated research I found this deal had been offered on many websites in addition to Groupon so they either couldn’t handle all the orders or were a fly-by-night company who’d collected all this money and taken off with it. I emailed Groupon and they were really responsive about offering my money back. However, I wonder if they somehow got touch with this company and now my order is being shipped. Hmm, feel a bit cynical about this one. So, my advice would be, if you’re going to buy anything from any deals website is to research the company a little bit. I would look up their website and search for any information that others have posted about them and if it doesn’t feel right then don’t buy. I would also try and find out how much the product or service normally is and see whether you are getting a real bargain. Overall, there are a wide variety of products and services available on Groupon and if you’re after a bargain then it could be for you. But research what you’re buying first and don’t fall into the trap of getting it just because it’s a bargain. I do wonder about the getaway deals. I might start looking into them.